Our mission at TECHRISE is to provide friendly and meaningful support for our students so that students can start coding to achieve their dreams. We believe that even though there is an infinite amount of free online resources, it is still difficult to learn web development when you are first starting out. We are here to teach and motivate students to become skilled web developers in a short amount of time by teaching not only the skills, but also the mentality of web developers with an innovative coding education platform. First, we make sure that all of our students at TECHRISE are highly motivated individuals. This is to ensure that our student community is active and full of motivated learners. We have pre-work assignments to select only highly motivated individuals. These pre-work assignments aren't so difficult - some people finish the assignments within days. If you have the motivation, it is easy to finish these assignments on time. We also allow pre-work applicants to have 24/7 access to the online forums for free to ensure that anyone with motivation can complete the pre-work assignments. 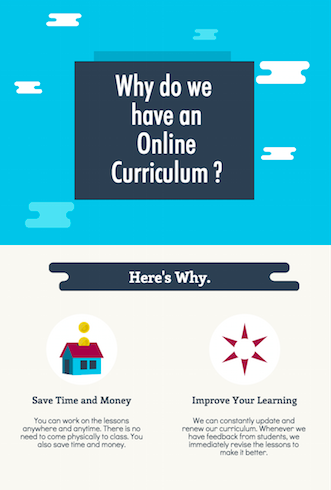 Next, we have placed most of our curriculum online. 1. You can work on the lessons anywhere and anytime. There is no need to come physically to class. You also save time and money. 2. We can constantly update and renew our curriculum. Whenever we have feedback from students, we immediately revise the lessons to make it better. However, no matter how good the lessons are, you will always have questions. This is because everyone sees things and learn differently. This is why we offer the TECHRISE Support System. After being admitted into TECHRISE, students will have 1 on 1 Mentor Sessions each week for 30 minutes. Students can ask all of the questions that students wish in this time. To make the most out of the mentor sessions, we ask our students to keep list up all of the questions that they have. After the mentor sessions students and mentors fill out a log to keep track of the progress. These mentor sessions are mandatory and students come into the office once a week. We believe that having a mentor guide students through their journey to becoming a web developer is essential for accelerating their learning. Aside from the 1 on 1 mentor sessions, we also have an active online community where our students ask questions anytime they want. We try to answer the questions as quickly as possible so that students can keep making rapid progress. By combining physical 1 on 1 mentor sessions with a virtual community where students can ask questions anytime, we provide an ecosystem for students to learn at an accelerated pace than the traditional classroom style. Instead of just teaching concepts, we motivate our students by actually building web applications and seeing how it works. At TECHRISE, students will first build a simple application where users can post ideas on to the web page (similar to Twitter), then you will build a complete clone of Instagram. Students will also learn how to test your applications using a testing framework called RSpec. After graduating from TECHRISE, we offer opportunities for exceptional students to continue their learning experience as a Junior mentor at TECHRISE. As Junior mentors, they will be responsible for answering questions on the online community and helping students out in any way possible. By working as a junior mentor, they will be forced to learn faster and more than ever because they will have to teach others. Of course, once they have gained sufficient experience as a Junior mentor, they have a high chance of getting hired as an official mentor!